September marked the first disgorgement of our newest traditional method Sparkling wine from the 2016 vintage, the Kristen Blanc de Blanc, crafted from 100% Chardonnay. The wine spent 2 years aging on lees, to add complexity and texture to the palate, and ensure a fine and very persistent bead. The fruit was harvested early to retain acidity and allow long term aging on yeast lees. The wine is a dry (or brut) style made from 100% Chardonnay made in the “traditional method”, where the secondary ferment takes place in bottle. The wine is left to ferment and age on lees for 24 months before hand riddling, disgorging, corking and finished with a measured dosage (still wine and sugar addition) to balance the wine and fill out the palate. Order online and have it delivered straight to your home or visit our cellar door for a tasting. 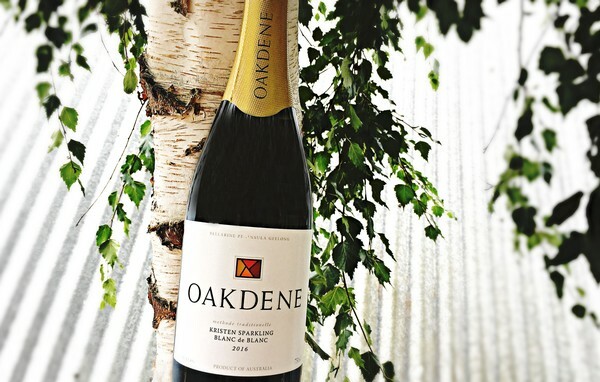 Don't forget, if you are an Oakdene Wine Club member, you get 10% off your purchase at the checkout! Not a Wine Club Member – Join Now! Pale straw in colour. Very bright citrus driven nose with some pithy green apple notes. Fine persistent mousse, leading to excellent texture and phenolics. Slight reductive notes, not grippy, and very fine, long and intense finish. A dry aperitif style, to be enjoyed with or without food.